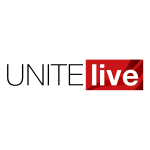 Unite members are being urged to write to their MPs and ask them to support legislation to reform outdated abortion law in England, Wales and Northern Ireland. Next week, Labour MP for Hull Diana Johnson will introduce a bill to decriminalise abortion in England, Wales and Northern Ireland. Currently abortion law is based on a bill passed in Parliament in 1861, The Offences Against the Persons Act, at a time when Queen Victoria was on the throne. Under the act any woman who procures her own abortion, and anyone who assists her in this, can be sentenced to life imprisonment – a law that still applies to women who purchase abortion pills online. The MP also noted that abortion legislation in Northern Ireland needs to be updated. Although the 1967 Abortion Act allowed exemptions in specified circumstances for abortions to take place legally in England and Wales, the act was never extended to Northern Ireland. In June, the Supreme Court found that women’s human rights in Northern Ireland are being breached by the current Victorian-era law. Johnson said, “With Stormont not sitting for the past 18 months MPs at Westminster can no longer sit by while women’s human rights are being breached. Unite national officer for equalities Siobhan Endean urged Unite members to contact their MPs and ask them to support the bill, which is also being backed by Royal College of Midwives, The Faculty of Sexual and Reproductive Health, the British Medical Association and the Royal College of Obstetricians and Gynaecologists. Unite has also been active in supporting women’s reproductive rights in Gibraltar, where domestic legislation states that women who have an abortion, and those that assist them, can also be punished with life imprisonment. Endean said, “Unite women members in Gibraltar came together to ask that we as a union work as a part of a pro-choice campaign to make sure their voices are heard as women who perhaps can’t afford to travel to have an abortion or are facing really difficult issues at work in relation to abortion. You can email your MP in support of the bill to decriminalise abortion in England, Wales and Northern Ireland here. To find out more about Unite’s pro-choice campaign in Gibraltar click here.